I couldn’t find a job. Over the past year I’d spent too much time cooped up at home writing my manuscript. And my aversion to producing visual designs had grown stronger; it had not faded as I had hoped. 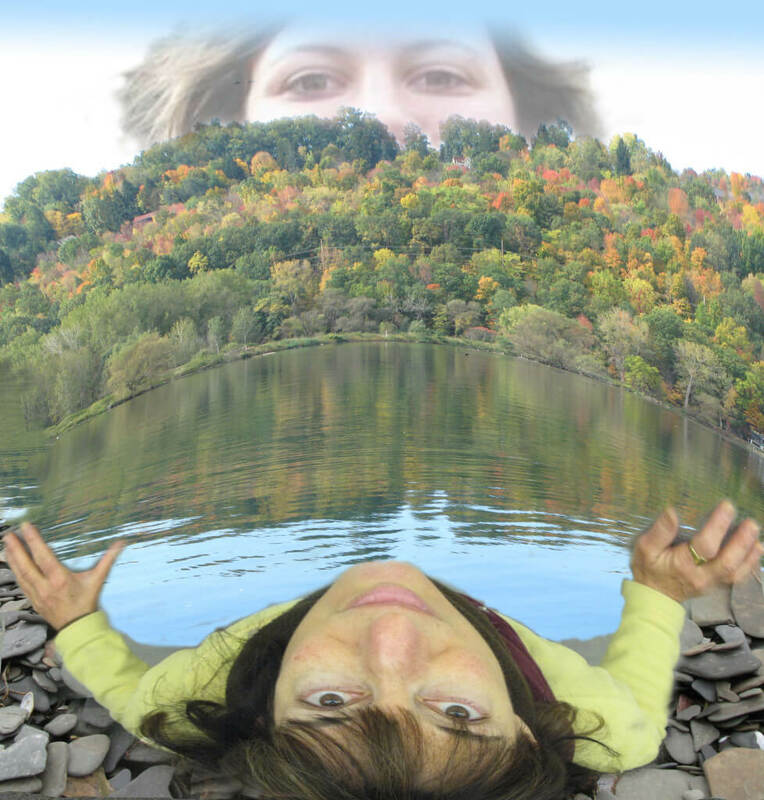 So I enrolled at Tompkins Cortland Community College to take a Photography/Photoshop course. I knew nothing about photography. I’d borrowed a small point-and-shoot to take to Australia and could barely manage that. Computers and technology in general confound me. And here I was, in a class with tech-savvy college students and a couple of my-own-aged men with impressive digital cameras. The only things I had going for me were my “good eye” and an adventurous spirit. And a keen desire to breathe life into my memories of Marika, like one huffs and puffs at the last embers of a dying campfire. So I rented a digital camera from the school and started playing with digital ghosts, shadows, images of Marika, and shots of whatever I could convince to sit still long enough for me to consider F-stops, apertures, ISO settings and how to hold and shoot without my habitual tremors and jolts. Learning all this is a headache of a challenge. I stagger out of class each week seeing stars. But it allows me to share some of what constantly swims around in my head. It lets me put things and people together in impossible places and situations, and make it all look somewhat real. This is comforting to me, if not actually useful. One day, maybe I’ll discover exactly why I need to do this. For now, I’ll just call it part of my healing. This entry was posted in 2012 on 2012/11/26 by Robin Botie.